What do you when your world is turned upside down? If you’re five young rats with music in your soul and dancing in your blood, you head for the Hollow, and the chance to dance at the Boom Boom Room. But not even wise old Uncle Switchtail can prepare Benny, Fletcher, Ella, Woody and Monk for the dangers they’ll face on the way to their dream. The kids have talent, grit and determination. Will that be enough to survive unexpected treachery, and a trip to the world of the humans? 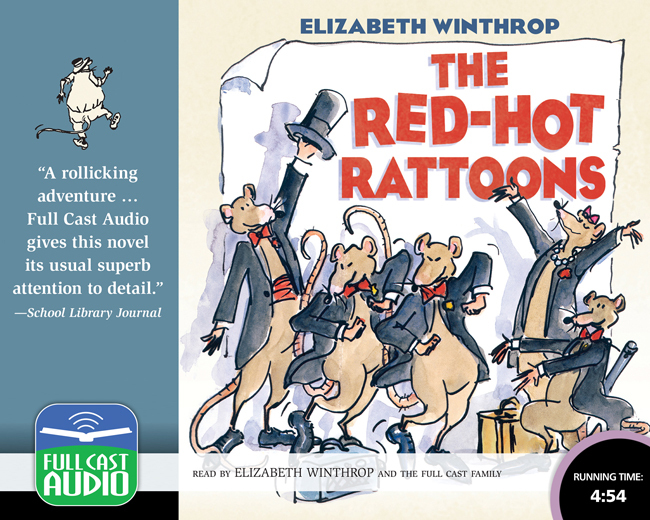 The Red-Hot Rattoons is filled with laughs, hair-breadth escapes, and enchanting characters. Even better, it vibrates with the key ingredients of all great backstage stories: heart, hope, and the unique joy that comes from chasing a dream with every ounce of strength and courage you possess.